Hellcat is Patsy Walker — a gymnast and socialite who took up the mantle of Hellcat. Patsy Walker is one of the oldest Marvel Comics characters, first appearing in Miss America Magazine #2 (Nov. 1944). She became Hellcat in The Avengers #144 (Feb. 1976), and has been on the superhero scene ever since as members of both the Avengers and the Defenders. This statue is sculpted by Mike Cusanelli and stands 12" high. 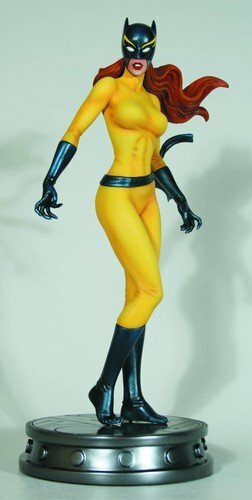 Add Hellcat to your Avengers/Defenders statue collection today!